Did you see the Superhero Sight Word Puzzles I recently made? 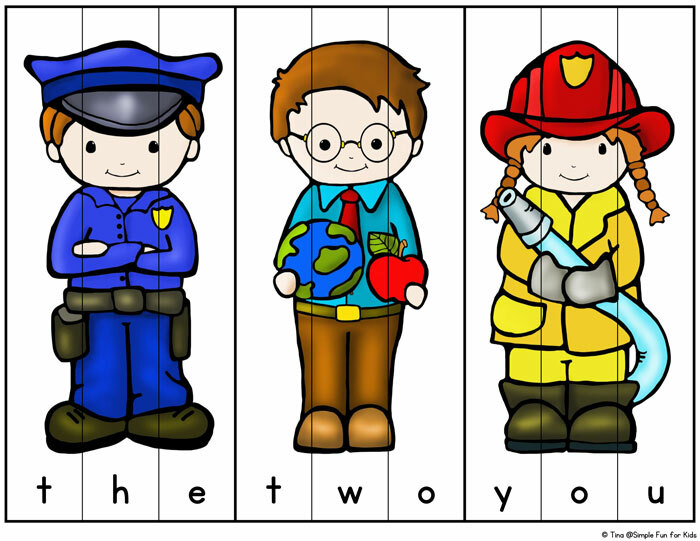 They’re quite popular, and since we’re currently doing something of an informal community helpers theme, I thought you might like this version, too: Community Helpers Sight Word Puzzles. The printable has 18 pages. It includes a total of 42 sight word puzzles. In addition to 40 puzzles with all of the pre-primer dolch sight words, two of the puzzles are blank. One of the blank puzzles has five pieces, the other one has two pieces, and you can add whatever words you’re working on. Just write on the pieces with a dry-erase or a permanent marker, depending on whether you want to switch out the words later. 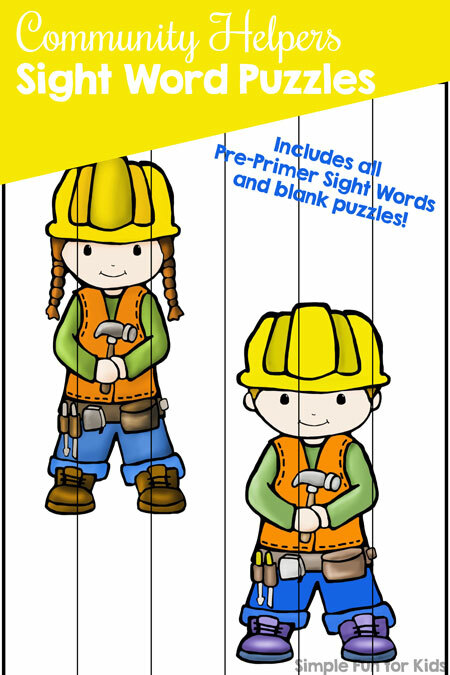 All pre-primer sight words that have more than one letter have one letter on each puzzle piece. The one-letter words “a” and “I” are on 2-piece puzzles with the letter on the line between the pieces. 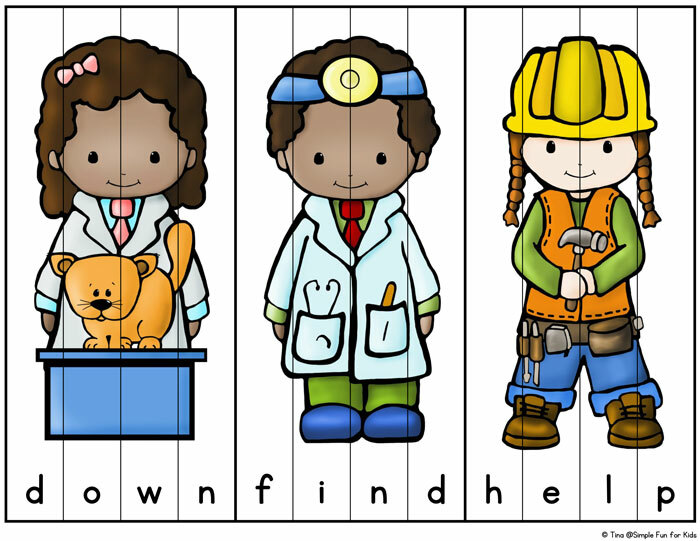 To prepare the puzzles, print the page(s) you want to use, laminate, and cut the puzzles apart at the black lines. There are thick vertical lines between two puzzles. Have your kids do one puzzle at a time when they’re just starting out with this type of puzzle, then progress to mixing several puzzles as their skill increases.